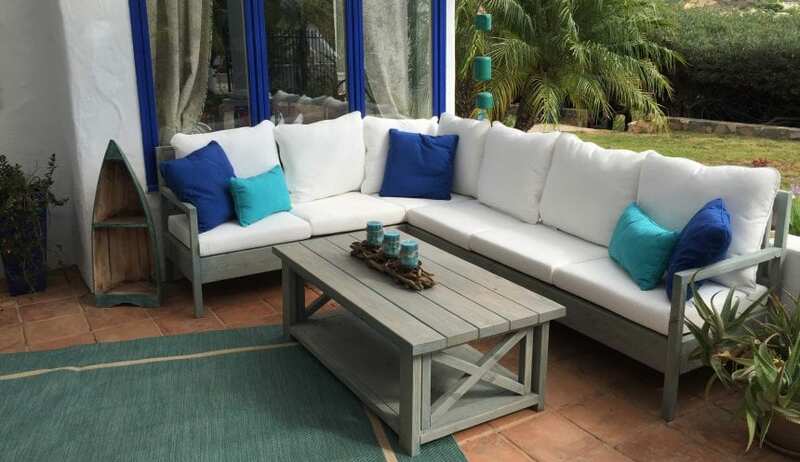 We make custom outdoor furniture San Diego. Recently we completed a custom outdoor sectional set with a brand new coffee table design to match the X sofa, love seat, and chair set. Our furniture is beautifully designed and looks very similar to current designs found in the pottery barn and restoration stores in San Diego. The big difference is the cost … we offer quality furniture at an affordable price. Woodworking Dad now offers 3 different coffee table designs, and if you don’t find what you are looking for send us a picture and we will tell you if we can build the furniture piece. When looking for quality outdoor furniture San Diego contact woodworkingdad.net.